In 2008, Senior Software Staff Engineer Mary Artibee gave a presentation at Sun Microsystems on what she had learned about mentoring. Mary’s popular and inspiring “Mentoring Isn’t Rocket Science” talk provided a succinct overview of some of the best advice from many experienced mentors. With Mary’s permission, a revision of part of her talk reappeared as the “Best Practices / Worst Practices” page of my Sun Labs Technical Report “Sun Mentoring: 1996-2009” the following year. “Best Practices / Worst Practices” was featured on a 2-page handout advertising “Sun Mentoring: 1996-2009”, distributed at the Grace Hopper Celebration of Women in Computing in 2009. 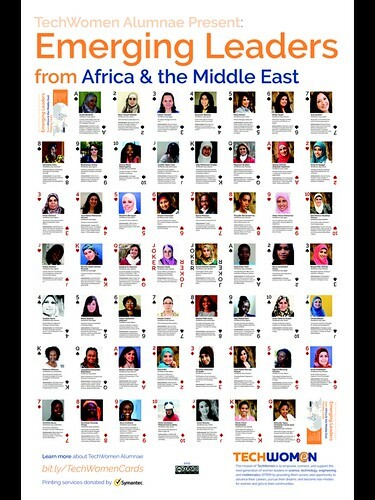 In 2011, I included “Best Practices / Worst Practices” as part of the inaugural-year US State Department TechWomen “Mentor Guide” publication. In 2013, it was republished in the “Xerox-ABI Online Community Mentoring Project – Mentoring Guide”. 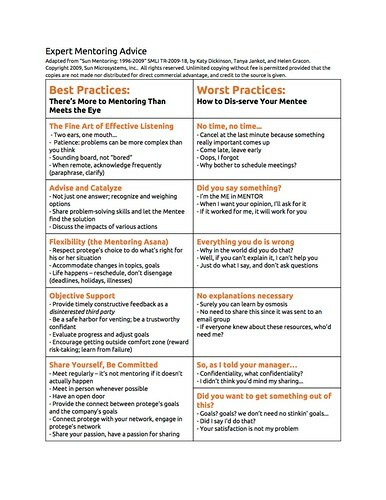 Now in 2014,”Best Practices / Worst Practices” has been republished yet again as part of the new “Mentoring in a Box” set by Everwise. 9/16/2015 update: The document is available in an updated form by Mentoring Standard. “Best Practices / Worst Practices” may have been published in other places as well – please tell me if you see it! 12/27/2014: another reference published by talentmanagement360.com. Once you have had a chance to review “Mentoring in a Box” material, Please take this short survey so Everwise knows how to improve. 9/16/2015 update: Several of the documents in “Mentoring in a Box” have been updated and are available by Mentoring Standard. “Expert Mentoring Advice: Best Practices / Worst Practices” is adapted from “Sun Mentoring: 1996-2009” SMLI TR-2009-18, by Katy Dickinson, Tanya Jankot, and Helen Gracon. Copyright 2009, Sun Microsystems, Inc.. All rights reserved. Unlimited copying without fee is permitted provided that the copies are not made nor distributed for direct commercial advantage, and credit to the source is given. 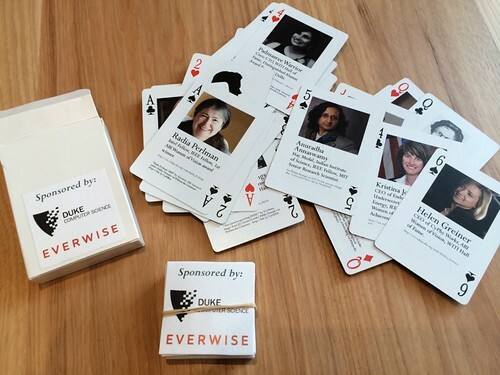 I was honored to talk with Duy-Loan Le in San Francisco yesterday about mentoring, and about the Notable Women in Computing playing card and poster project in which she is one of the 54 honorees. You can read updates about the ongoing “Notable Women” production on my daughter Jessica’s webpage and on our Kickstarter page. Senior Fellow-Texas Instruments, WITI Hall of Fame, ABI Women of Vision, Golden Torch Award for Exemplary Citizenship in the Vietnamese American community. For contributions to Digital Signal Processor microelectronics technology, and as the 1st woman and 1st Asian TI Senior Fellow. Thanks to Everwise Founder and CEO Mike Bergelson for taking our picture! After the Kickstarter ends, we will enter the production phase – to get cards and posters to those people and institutions who have so generously supported us. 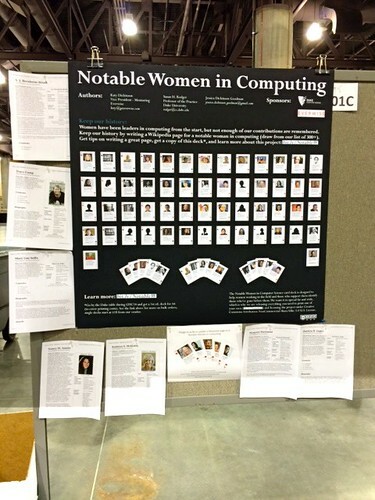 As a follow up to this project, I encourage you to write Wikipedia articles on Notable Women in Computing. Instructions and guidance are on Duke University’s webpage: CRA-W and Anita Borg Institute Wikipedia Project – Writing Wikipedia Pages for Notable Women in Computing. Thanks to Jessica for the image above, in her Final Inspirational Hand of the Week blog post. Update: About four hours ago, our Kickstarter closed after raising $15,010 in crowd funding. That is, we made 500% of goal. 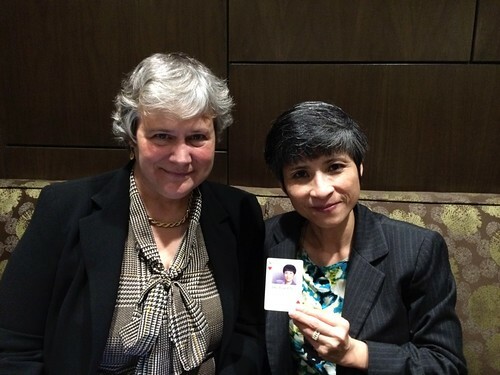 Thanks to our great team: my daughter Jessica Dickinson Goodman, and Dr. Susan Rodger (Duke University). It is a pleasure to work with you! I am interested in the design and age of signs and marks under foot in a city. 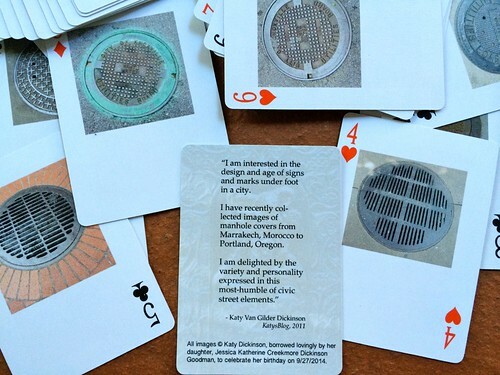 I have recently collected images of manhole covers from Marrakech, Morocco to Portland, Oregon. I am delighted by the variety and personality expressed in this most-humble of civic street elements. What a wonderful gift! What an amazing daughter! Thank you thank you thank you! 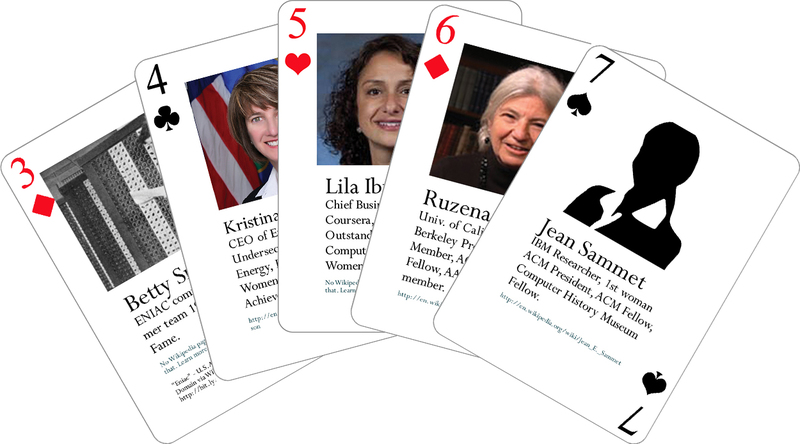 Our Kickstarter crowd funding request to support the second edition of the “Notable Women in Computing Card Deck” is now open! Women have been leaders in computing from the start, but not enough of our contributions are remembered. 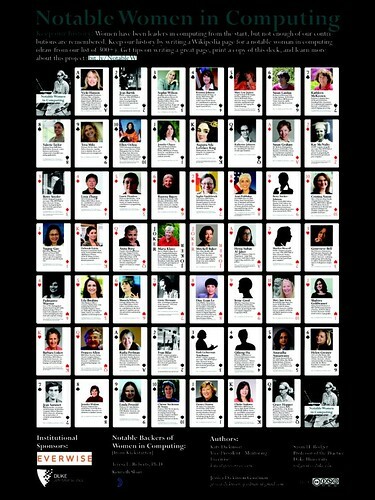 Help fund a “Notable Women in Computing Card Deck” featuring 54 remarkable women in computer science. Give a deck to a cousin who’s not sure if girls can be engineers. Bring it to your poker night to make a point. Learn more about the history and future of women in computer science. By becoming a Backer, you help us bring the cost of producing these decks from $18/deck to $10/deck and ship decks to educators who can’t afford them. This Kickstarter is to fund a printing of the second edition. We’re distributing the first edition at the Grace Hopper Celebration of Women in Computing (GHC) right now and want to incorporate our lessons-learned in the second edition. Professor Susan Rodger, my daughter Jessica Dickinson Goodman, and I welcome your support.